BBC developed the LS3/5a for their own broadcast vehicles, but later licensed the design to a variety of companies, the first of which was Rogers. 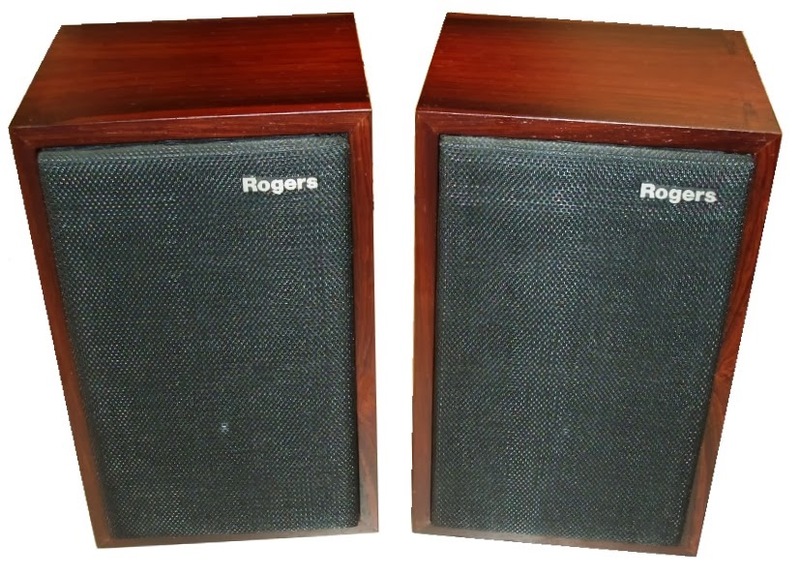 Rogers has long been known as one of the leading manufacturers of speakers since the days of its founding by Jim Rogers in 1947. Since the advent of its signature model, the BBC Rogers LS3/5a, in the early 1970's, Rogers speakers have long been prized and sought after by collectors on the modern international market place. It is helpful to know that Rogers Audio went bankrupt before finishing their own LS3/5a speaker. However, the corporation Swisstone bought Rogers´ name and sold shortly after the speaker "Rogers LS3/5a". Since its first introduction, this model has sold approximately 42,000 pairs under Rogers´name. Indeed, the LS3/5a speaker system has gone down in history as one of the most reliable models ever introduced. Due to BBC´s licensing there are a few other companies producing the LS3/5a in smaller numbers, which are: Audiomaster (approx. 10.000), Spendor (approx. 22.000), Harbeth, KEF and a few others with less significant sales. The complete sales of the ten corporation, licensed with the production of the LS3/5a are estimated to lie between 60.000 and 100.000. The BBC Rogers LS3/5a speaker system incorporates a unique phase-corrected crossover design, as well as a very complex in-unit equalizer. Both of these components fit comfortably within its 5.75” x 7.25” x 10.125” exterior. It should be noted by all potential collectors that these speakers have been engineered and crafted for use in a small, enclosed room. 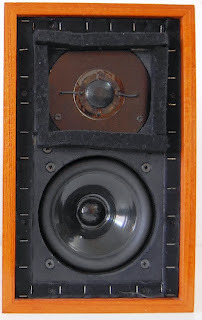 The original design focused on the ability to produce the speakers repeatedly with identical performance. This neccessity was due to the professional usage of the LS3/5a. The goal was conclusively not to achieve unmet fidelity, but to produce a speaker series with consistent performance. The performance measurements produced by Rogers speakers are quite amazing (and truly revolutionary for their time). All Rogers LS3/5a units contain a large bass booster, which compensates for the relatively small woofers. Indeed, the bass booster works at an efficiency rating of some 1.75 percent, a figure which is fully comparable to an average system of acoustic suspension speakers. It is important to note that the LS3/5a models can have different performances, due to the companies that have produced it. Over the 25 years of the speaker´s production cycle, many small differences can be found in the same design influencing the overall performance of each licensed model. The LS3/5a is a two-sided sword, as ithas been designed for a very specific purpose. Conclusively, it has clear strengths and weaknesses that depend on the individual setting the speaker is used in. As mentioned earlier, the LS3/5a has been engineered to succeed in small, closed rooms, in specific broadcasting vehicles. It is a full range monitor for a very specific purpose. This means on the other hand that it will only perform well in such rooms or spaces. Using the speaker in large, open rooms will not convince listeners. The speaker is fairly small. For its size, it has an outstanding performance, but compared to full-sized high fidelity speakers it´s size becomes an issue as it cannot capture bass as well. It is generally claimed that the LS3/5a lacks deep bass, and has a more uncomfortable boomy, flatter bass. The speaker is made to be "realistic". This means however that some elements might appear more unappealing to listerners as they are used to. One example is that the mid-range is by some criticized as being "nasal", by others as being purely realistic. 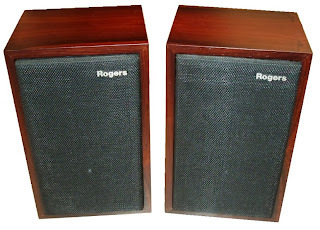 If you make use of the subwoofer at a volume between 60 to 80 Hz, these Rogers speakers will produce a clear as a bell sound of about 100 to 105 dB. Beware, however, as sound produced at this volume can cause irreparable hearing loss. Do not be fooled by the small size and weight of Rogers speakers. Rogers LS3/5a speakers are best experienced in your music room when they are hung up high on your walls. Alternatively, they can be placed on a stand, which will ideally be higher than 30 inches. Making use of them in this latter position will further amplify their capacity to produce bass tones. Overall, Rogers LS3/5a speakers remain as a great historical example of 1970's technology, and are highly valued by historical collectors and audiophiles alike. While more modern equipment has taken its place, these classic speakers still have their charms. BBC Rogers LS3/5a Speakers are not known as a particularly inexpensive item. 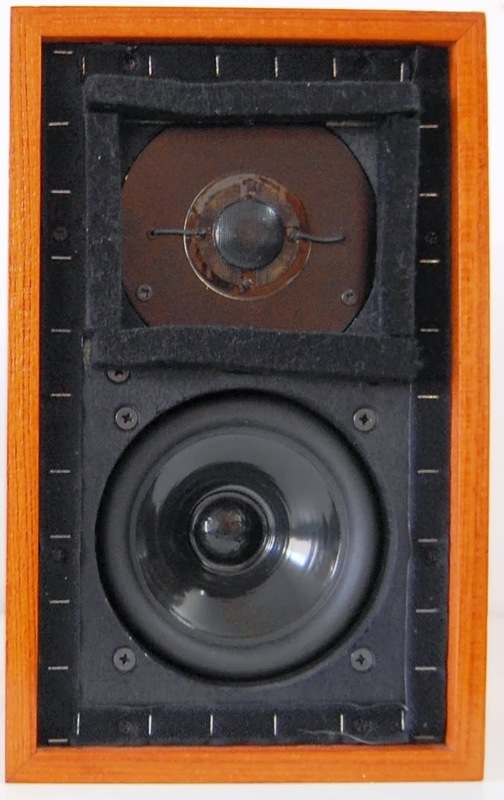 Indeed, the unique features of their internal design have made them one of the most widely prized and hoarded models ever introduced to the used speaker market. Although there are plenty of working models in excellent condition available for sale, you should expect to pay not less than $1.400 for a pair in working condition. A pair by Rogers in excellent condition with matching serial numbers can be priced at $3.000 or more.